A high quantity of working professionals seek to become self-sufficient, to own their own business for a multitude of reasons. It's a question of Empowerment versus Employment. However, many people do not understand where to start. Business Ownership Connection, LLC, provides the necessary coaching and mentoring to help guide someone through the process of becoming their own boss to achieve their career dream. As a Business Ownership Coach, sometimes called a Franchise Consultant, I play the role of "business matchmaker" in providing guidance to enable those seeking to own a franchise or business. I help people find the best franchise or business opportunity for them and their family. I do not sell franchises or businesses, I facilitate the process to help people make the right decision when buying one. 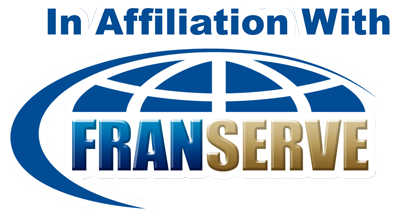 I am an affiliate of an organization with a portfolio of more than 500 franchise and business organizations across all industries. Best of all, I do this at no cost to my clients, my services are free. My service is provided at no cost as the franchise or business company will pay me a referral fee when someone I help proceeds with business ownership. Business Ownership Connection, LLC will help you to grow your franchise. Do you have an existing business and ever wondered if it would make a good franchise? Business Ownership Connection, LLC can help you determine if franchising your business makes sense.